Bob is ASTA’s Vice President, International Membership & Expansion. His primary duties include working with ASTA’s International & Domestic Chapter system, as well as maintaining ASTA’s International Relationships and overseeing the ASTA Destination Expo & ASTA International Showcase program. 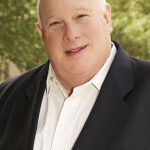 Bob also serves as Vice President of ASTA’s Small Business Network (formerly NACTA). Bob has been a successful travel advisor and has been involved in the travel industry for over 25 years, formerly owned a brick-and-mortar agency, a resident of Fort Lauderdale, FL, Bob was born and raised in the Philadelphia area. Bob also was the founder and former director of the South Florida Chapter. Travel Research Online (TRO): How are you today, Bob? Bob Duglin (BD): Doing great, thank you very much! TRO: ASTA, the American Society of Travel Advisors, has been one of the biggest advocates for the travel industry. What does ASTA offer members of this community in terms of support? BD: ASTA offers a wide variety of support and advocacy. On a state & national level, we are the spokesperson for legislation to reduce burdens & taxation on our members. We also offer a wide variety of conference & networking opportunities worldwide. TRO: You’ve been in the travel industry for 25 years. What are your favorite parts about working in this field? And what brought you from being an agent to being an advocate? BD: My favorite parts of this industry are the people – our members, our supplier partners & my colleagues at ASTA. I continue to be a travel advisor and sell travel – but I enjoy advocating for and working with our members to help build their success. TRO: So, I hear ASTA has an International Showcase Event coming up in May. Can you clue us in on what this event is about? BD: This is a wonderful opportunity for our members to have immersive experience on the island of Rhodes, and entire South Aegean Region. The Greek National Tourist Office (GNTO) & South Aegean government are working closely with us on a variety of very special events – including a reception at the Palace of the Grand Masters. Participants will also have the opportunity to meet and network with local Greek suppliers. TRO: Do you see Rhodes and Kos (Greek islands) on their way to becoming more major destinations in the US market? BD: Absolutely – we have seen an increase in both direct and one-stop air service to Athens and other locations in Greece. There is so much history, beauty and opportunity for growth in these areas. TRO: When talking with the officials of a destination to promote its development, what are the major points that ASTA looks for? BD: The importance of educating our travel advisors on what there is to see, do, experience & enhance the visit of their clients. It’s also important that the destination is willing to invest in time and money in these events to make sure this is memorable, and our advisors come away with a better understanding – and the opportunity to enhance their clients experience and make money. TRO: What is the destination you enjoy traveling to the most? BD: That’s very difficult – each place offers beauty and unique opportunities if you take time to explore. I must say Greece and the Aegean Island are at the top of my list – it’s all about the wonderful people, the beautiful locale and the wonderful food and wine. TRO: Does ASTA have other events or plans for the near future? BD: Yes, we do, we have the ASTA Destination Expo in Jerusalem from Nov 10-14; here in the US, our ASTA Global Convention is in the Fort Lauderdale area at the Diplomat, and the ASTA Small Business Network Conference (formerly NACTA) is in Aurora Colorado. TRO: Bob, thank you for your time. BD: My pleasure, and I appreciate the excellent work that you do at TRO in keeping the travel advisor community informed.